Chimcare LLC strives to be the leader in the chimney and air-duct cleaning industry. We are committed to providing our customers with the highest quality service at affordable pricing. We are known throughout the Northwest for our professionalism and dedication to customer satisfaction. Starting in 1989, Richard Peralta began a small chimney sweeping company in Canby, Oregon in order to help support his growing family. Richard started the business on a part-time basis to provide extra income for his family of eight in 1989, while working full time for UPS. After five years of hard work and dedication to his customers, he was able to leave his day job and pursue the business full time. Richard built the business from the ground up by providing dependable, quality service that you can trust. 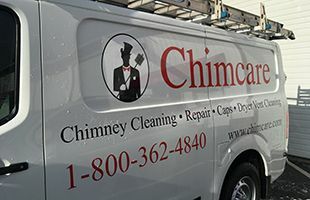 Thanks to his incredible dedication to the craft, integrity, and impeccable customer care, his business quickly grew into the chimney repair and cleaning company that carries on his legacy today. Many of Richard’s first customers are still with Chimcare LLC today, along with their family and friends. We are very honored that the majority of our business is from loyal repeat customers and their referrals. Chimcare has expanded with additional locations in order to service the greater Portland and Seattle areas. Our chimney professionals can service homes and businesses as far north as Everett, WA, and as far south as Salem, OR. In case you were wondering, Richard is still alive and kicking, but he passed the torch to his sons, Jesse and Daniel in 2005. While these two keep Chimcare running, Richard now dedicates his time to community outreach projects that are his passion. Jesse, along with his younger brother, Daniel, remain committed to not only keeping up with the level of service that their father provided for many years, but to try and exceed it. They want to go above and beyond for each and every customer. Along with the current customer base, Jesse is working hard to expand Chimcare as his father had always dreamed. We welcome new customers who are searching for clean-cut service technicians who have experience, quality workmanship, and a name that is trusted around the northwest. We are proud to carry on the Peralta Family tradition of providing exemplary Chimney Care for you and your home. The Chimcare Story lives on!